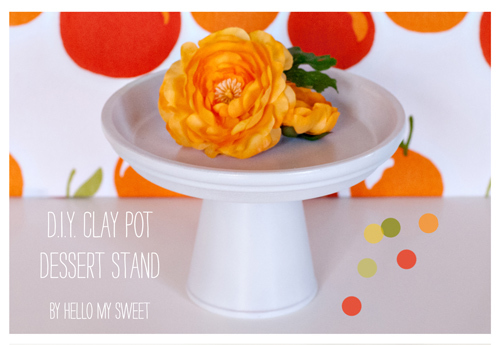 We are Heather & Jason of Hello My Sweet coming to you today as guests here on The Flair Exchange blog once again with an awesome and easy tutorial on creating your own Dessert / Cake Stands! 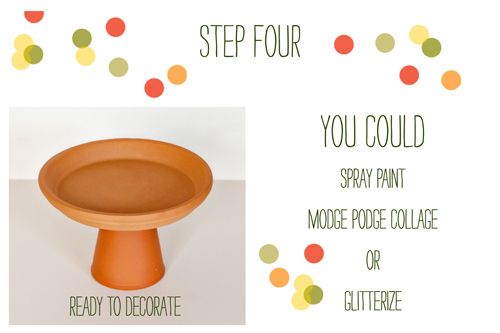 Step Four: Now it is time to decorate your stand. Go ahead and flip it over and admire your handiwork. We chose to take a can of glossy white spray paint to our because we wanted something neutral that we can use over and over. The sky really is the limit here though, you could glitterize it, modge podge collage it, spray it, paint or stencil. It’s up to you! Take into consideration the finish of the area the food will be touching. Leave it unfinished to keep it food safe. 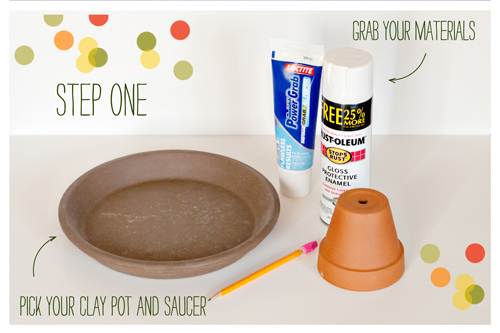 Use a food safe base of parchment or paper underneath to keep the food from touching the surface of the pot if you do paint it. 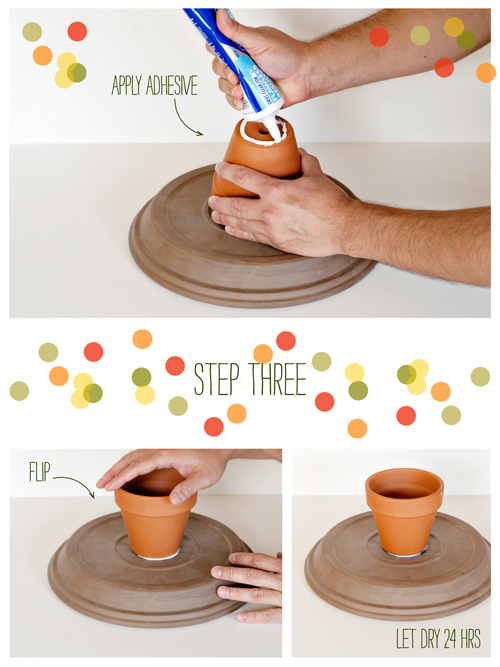 You could also apply a coat of food safe polyurethane spray and not have to worry about it! 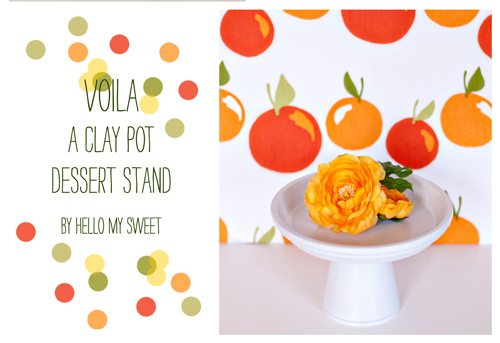 You now have your very own Clay Dessert Stand! These are really nice because they weigh quite a bit and are sturdy. Thank you for having us here today. We hope that you will come visit us sometime as well over at Hello My Sweet, where we always have something new and party-licious up our sleeves! 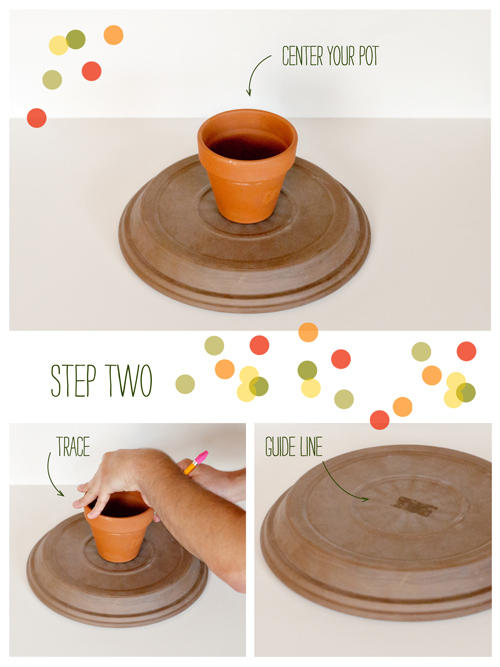 The post DIY Clay Pot Dessert Stand appeared first on The Flair Exchange®.